Kieran Gibbs has the flu, so Nacho Monreal plays – no drama. Nacho Monreal is cup tied in Europe, so Kieran Gibbs plays in Munich – once again, no drama. If only we had that sort of depth in more positions. Arsene Wenger recently talked about having two players for each position and he was spot on – but the second left back until the end of Jan was Andre Santos, who looked completely off the pace. You can play Monreal or Gibbs and not weaken the team; you could argue that if Sagna was more settled, we would have good depth at right back, especially with Carl Jenkinson playing very well at the moment and he was unlucky not to get into the England squad this week. We may have sorted the left back situation out and in the summer...there are a few more positions that we have to sort out. Abou Diaby injury jinx strikes again. 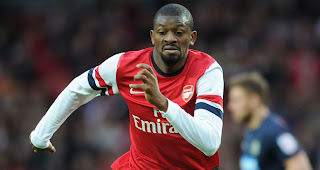 Abou Diaby was confirmed to be out for eight or nine months and will be under the knife and on the sidelines yet again. I think most people that regularly see my tweets know that I rate Diaby highly and think his mighty talented. The Diaby we saw at Anfield, or at the Etihad, was a glimpse of the real Abou Diaby. Sadly, another big set back means it may be curtains for Diaby – another set back in recovery and he might seriously consider retirement, because mentally this will be a huge blow. The financial aspect may have a big say in any final decision though. In other news, the main talking points recently have been regarding our captain and keeper. I was in Munich and we first heard that Wojciech Szczęsny had not travelled but with our Vermaelen speaking to the media in the press conference, it was hard to see him not playing – but we were wrong. It was a big call but a brave one. Players need to fight to get in the team and fight even harder to stay in the team and despite how good they are (look at Joe Hart). 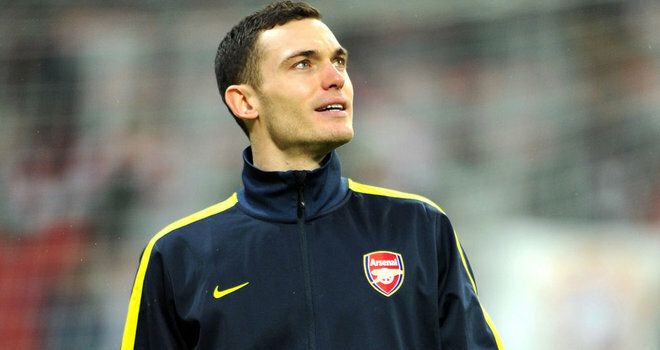 They need competition and Vermaelen in particular has a real fight to get back into the team this season, captain or no captain.